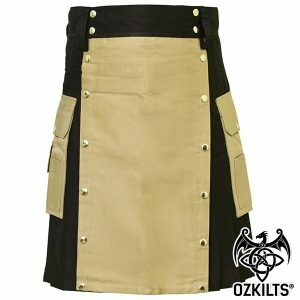 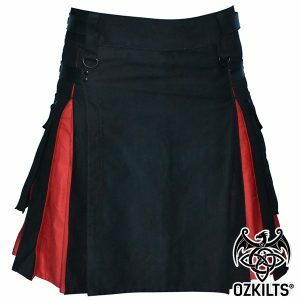 This Kilt comes with ‘Box’ style pleats, which hold tighter than a standard knife pleat, and two-tone colour options. 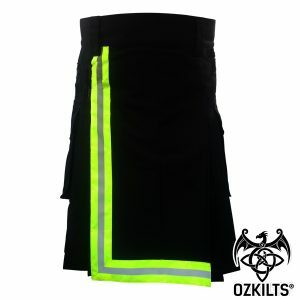 Our Heavy Duty cotton is Recommended by Fire Performers for its Fire Resistant Properties and comes fitted with our Deluxe Sports Kilt Velcro Fastening System, while the pockets are able to be detached as to keep out of the way during performances or high risk tasks. 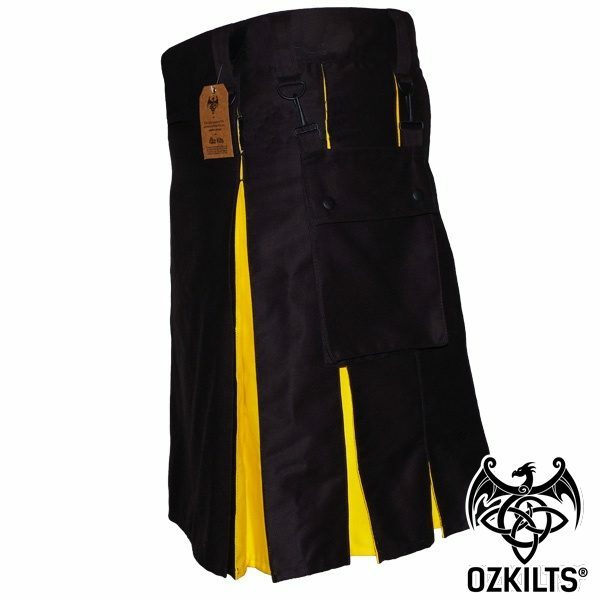 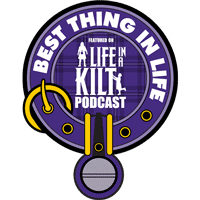 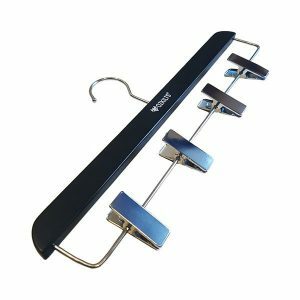 The comfort velcro fastening system allows for adjustment of the kilt size for a perfect fit at all times, and is a modern design offering superior comfort compared to traditional kilts which usually use buckle hip fasteners. 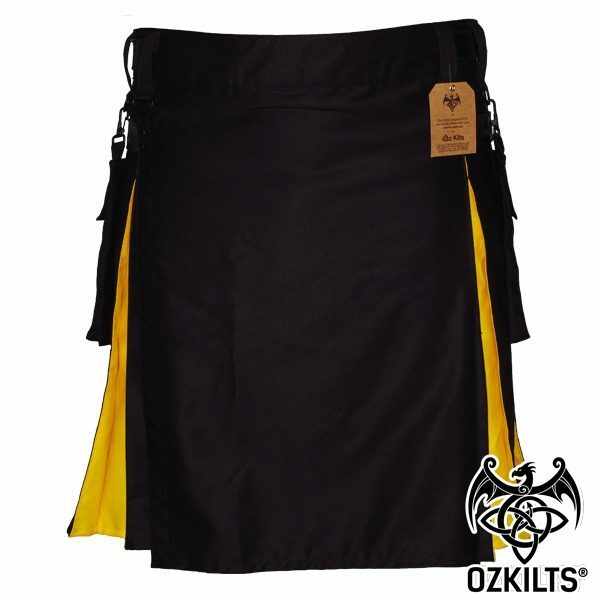 We recommend our Phoenix Kilt for premium comfort, style and safety for Fire Performers or those who are just too hot to handle! 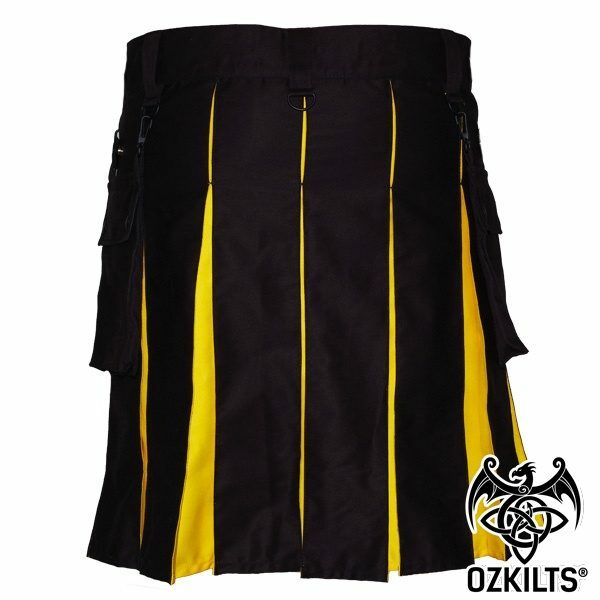 Make sure you check our sizing guide for more information on selecting your correct size for a perfect fit. 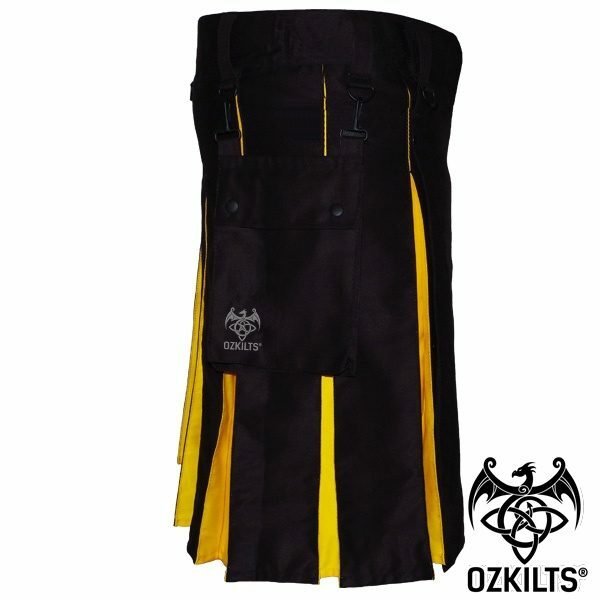 * This kilt won’t make you invincible, however it will give you +5 to fire resistance, click here for full information before purchase.